Miss Maids gift vouchers make a perfect gift. No matter how well you know your nearest and dearest, it’s hard finding the perfect gift every time. Miss Maid’s Gift Vouchers always makes it a whole lot easier. It is simple, hassle free and rewarding. 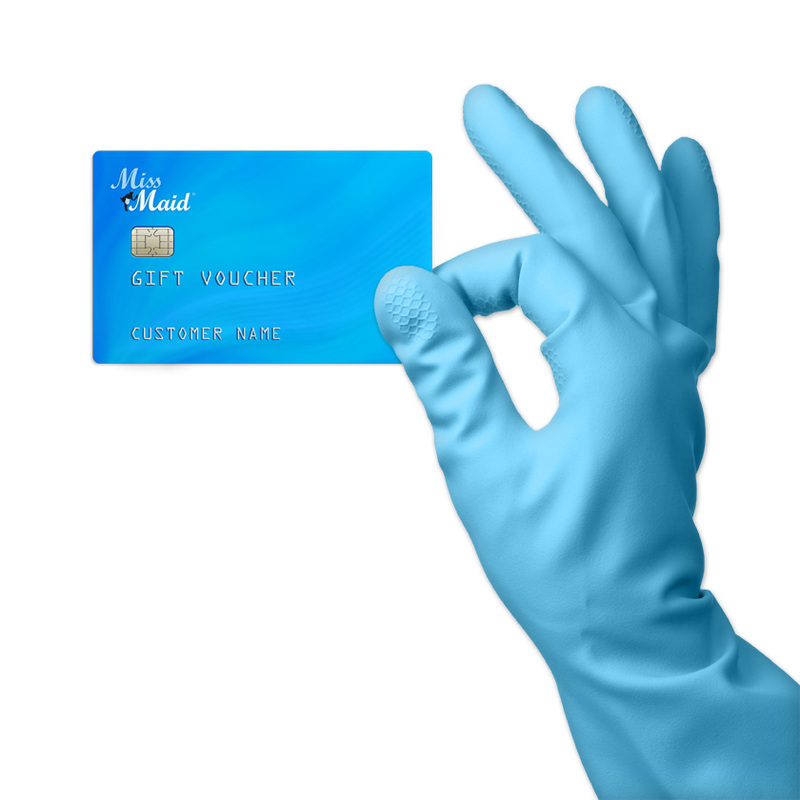 Miss Maid’s gift vouchers are pre-paid cleaning services that can be purchased and used in any of our locations. Our gift vouchers are a mouse click away from getting out to the loved ones. They can be customized and personalized so we can make the perfect gift for a long-lasting memory. Please fill out the form and you will hear from us instantly.